Friday and Saturday, Little Rock’s (LR) track and field program competed in Jonesboro at the A-State Invitational. 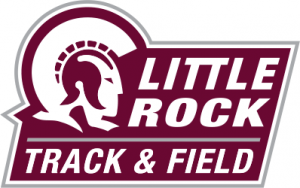 LR’s women’s program acquired three individual first-place finishes as well as a win in the 4 X 400-meter relay. The men’s team finished second in their 4 X 400-meter relay and added several top-five finishes. The team of senior Travion Clark, juniors Ch’Kilas Calhoun, Charles Okeze, and Jalen Black ran second in the men’s relay, coming in at 3:15.80. Okeze also placed third in the 200-meter, clocking in at 21.67. In the men’s 55-meter dash, LR finished third through sixth. Freshman Keshawn Andrews placed third at 6.42. Teammates Okeze, Clark, and Calhoun finished at 6.45 and 6.48, respectively. LR sophomore Max Holzmueller broke the school record in the heptathlon with 4,690 points. Holzmueller’s score is 140 points better than the previous record holder, Darren Caradine (2007). LR’s women’s team put on an excellent performance. The first victory came in the women’s 3000-meter with junior Shanike Watson claiming the top spot with a time of 10:13.38. Watson then placed second in the one-mile run, finishing just a second behind Arkansas State’s Anelle Charles, in 4:59.75. Keishawna Scott delivered the next win for the Trojans in the women’s 400-meter dash. The freshman beat out the competition with a time of 58.29. Teammates Brittany Pinder-Jones and Christina Nickerson finished fourth and eighth with times of 59.42 and 1:00.72, respectively. Scott was also a part of the women’s relay team that finished first with a time of 3:53.24. Scott was accompanied by junior Jessica Gray, freshman Helensia Green, and freshman Ka’Neisha Jackson. LR’s freshman long-distance runner Vianney Sanchez claimed first in the women’s 5000-meter run, with a winning time of 18:43.99. Teammate Hunter Paul was right behind her with a second-place finish at 18:44.74 and Hannah Manning rounded out the top five in 19:38.66.